Welcome to Saraswati International. Leading Exporter of Food and Agro Products. The company was established in the year 2001. Our In house testing facilities andStrong distribution network make us stand apart from also rans. Timely delivery, Exotic range of packaging, Clean and hygienic storage help us toachieve an enviable position in the industry. We offer a huge gamut of Fresh Onions, Maize, Spices and Soya Meals. Our Fresh Onions are in huge demand across the global markets. 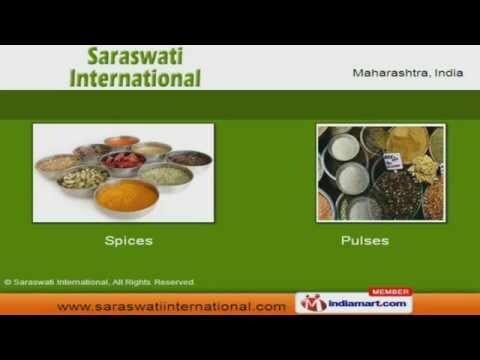 Spices and Pulses offered by us are best in the industry amongst others. Our Fresh Fruits are widely appreciated in the market. We also provide Fresh Garlic and Agro Products at industry leading prices. We also provide Maize and Soya Meals that are extremely reliable.